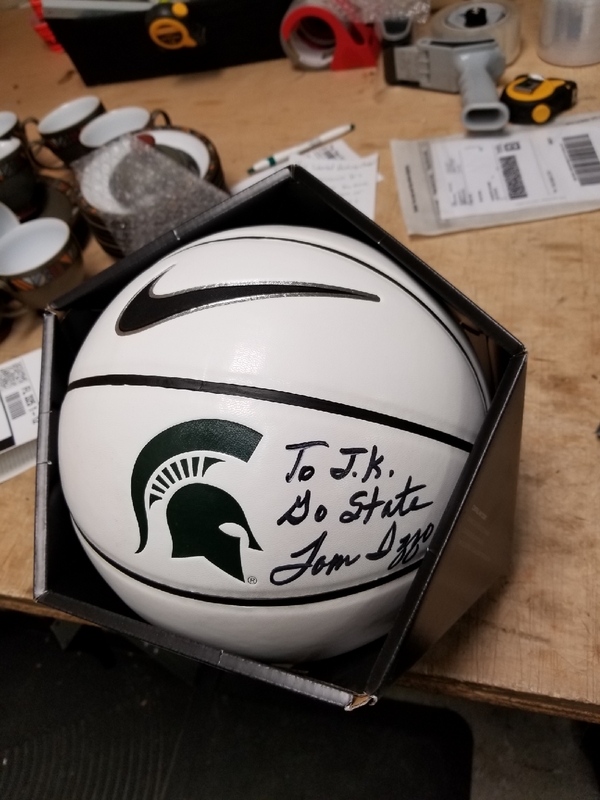 This basketball came through the store today and as you can see the famous Coach Izzo signed this basketball. Go State! We ship all kinds of sports memorabilia, actually we ship it all – come and see us!!! This entry was posted on Wednesday, February 6th, 2019 at 8:11 pm and is filed under Shipping. You can follow any responses to this entry through the RSS 2.0 feed.